As a catechist of the Catechesis of the Good Shepherd program I have the privilege of observing the relationship of the child and Jesus flourish everyday. The genuine love that the child has for our Lord is shown in the most simplistic way during their work in the Atrium. I have been a part of the St. Michael School community for over five years. On the first day I arrived, I was warmly welcomed by everyone. This kind of welcoming is shown to all. Our faculty and staff are very dedicated to St. Michael School and the students both academically and spiritually. As a parent of a Kindergartner. There is no greater gift that can be given to a parent then to have your child bring home the Rosary bag for homework. This enabled us to sit at the table as a family and pray the Rosary together. 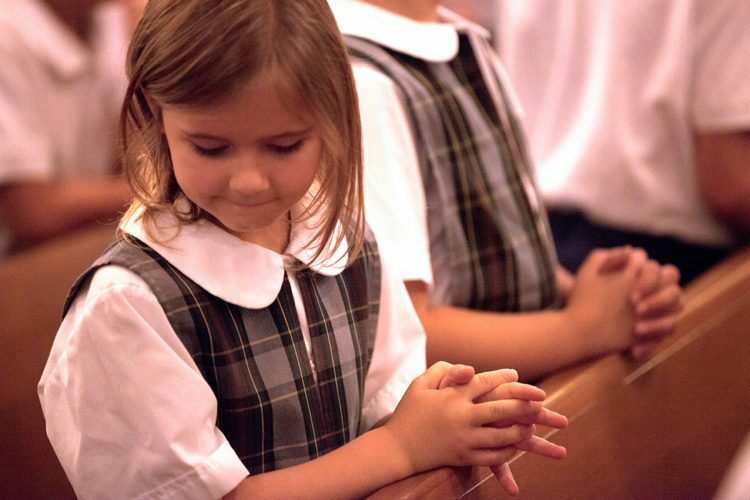 To have your 6 year old child know how to pray the Rosary is a priceless gift. My child teaches me what a Saint’s day it is and what she has learned about that Saint. Her kindergarten year has been filled with a nice balance of education and learning the faith. not just an afterthought at St. Michael. We are already seeing the fruits of our kids Catholic education at St.
be true disciples of Christ- you can’t get that in just any school! Our search for the right education for our children started well before they were born & never really stops. I can proudly say that our children attend a school that continues to constantly exceed our expectations both academically & spiritually. With such strong Catholic traditions & beliefs it’s no wonder I continue to see generations of families returning year after year. I look forward to my grandchildren continuing our tradition at St Michael School.